Happy new year cinephiles! It is 2019, and another year of film is upon us, and it is shaping up to be quite the year for films as we round out the 2010s. There’s lots to look forward to. So without further ado, I present to you my picks for my top 10 most anticipated films that are set to hit UK cinemas in 2019. Dark Phoenix, Unpopular opinion coming at you, I don’t think 2016’s X Men Apocalypse was that bad. For sure it wasn’t as good as Days of Future Past, but it was a fun (if a little nonsensical) romp. Which brings me to Dark Phoenix, a film that focuses on a premise I’m sure we have seen before, but cannot remember where (!). Now the continual push backs of this film are a little worrisome, likewise with The New Mutants, but with everyone from Apocalypse back as well as Jessica Chastain in a mysterious role, you have my interest. Spider-Man: Far From Home,The sequel to 2017’s Homecoming, and yes it is hard to escape that Spider-Man was one of the unfortunate ones who did not escape Thanos’s snap. Yet the presence of this film would suggest he comes back in the Infinity War sequel (more on that later). Tom Holland is once again everyone’s favourite neighbourhood Spider-Man with Jake Gyllenhaal as the villain Mysterio. Lion King, The Disney mission to remake all their animated classics has now turned its attention to arguably its best. The 1994 animated film is one of the best animated films, ever made. Therefore director Jon Favreau has a simple job of translating this live action remake (if it can really be called that) to the big screen. Whilst the CGI does look great, and the cast is excellent, this remake does seem a bit redundant, but if this takes it place in The Circle of Life and blows audiences away once again, then Hakuna Matata I suppose. Glass, M. Night Shyamalan’s career has been a strange one, starting out promisingly with early cinematic gold before making a few, pretty terrible films, but he came back to form with Split which leads us to the third film in a shared universe that connects the aforementioned Split, with Shyamalan’s 2000 hit Unbreakable. The Irishman, Martin Scorsese, a director who needs no introduction, and the director is returning to what people may know him for best, a film focusing on gangsters. His collaboration with Netflix is the most expensive of his career to date, and sees him reunite with Robert De Niro for an incredible ninth collaboration between the duo. If it is as gritty, and as entertaining as his previous ventures into this genre, we could have another classic gangster flick on our hands. For so long, Jordan Peele was one half of the very successful comedy duo, Key & Peele, then he went and made the remarkable and unsettling Get Out, which won him an Oscar. 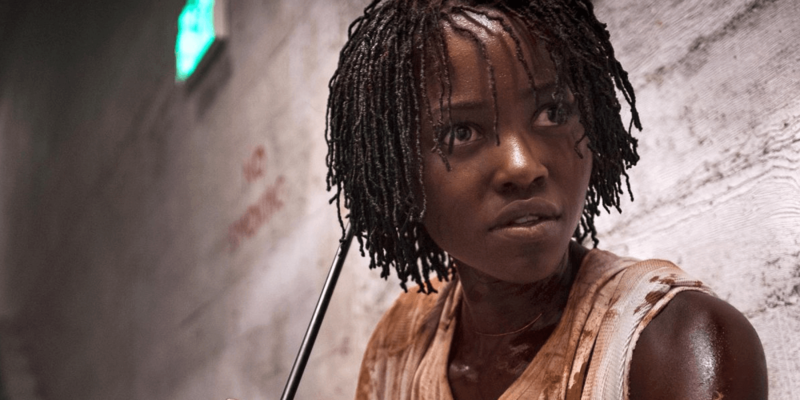 Now for his next film, Peele is going down the horror route once again in this film that looks deeply unnerving to say the least if the new trailer is anything to go by, which hints at a terrifying plot involving some sinister doppelgangers. That premise alone is very intriguing, but with an exciting cast that includes Lupita Nyong’o, Winston Duke and Elisabeth Moss, only adds to the excitement/dread that audiences are likely to be greeted with when this one hits cinemas. If you piss off John Wick AKA The Bogeyman, then you better start saying your prayers, cos he WILL make you pay for it. Keanu Reeves’s work as this badass assassin has made Wick one of his most compelling and badass characters, it’s certainly a role he seems to have had a lot of fun with. However, after he broke the absolute unbreakable rule of murdering someone on the grounds of the assassin underworld hotel, it cost John the access he had to the Assassin underworld and all of the accompanying perks. On top of that, he now has a large bounty on his head, which will likely put pretty much every hitman in the world on his trail. Reeves is once again suiting up as Wick, and Chad Stahelski is back as director. Stahleski has promised that the death count will be considerably higher for this one. 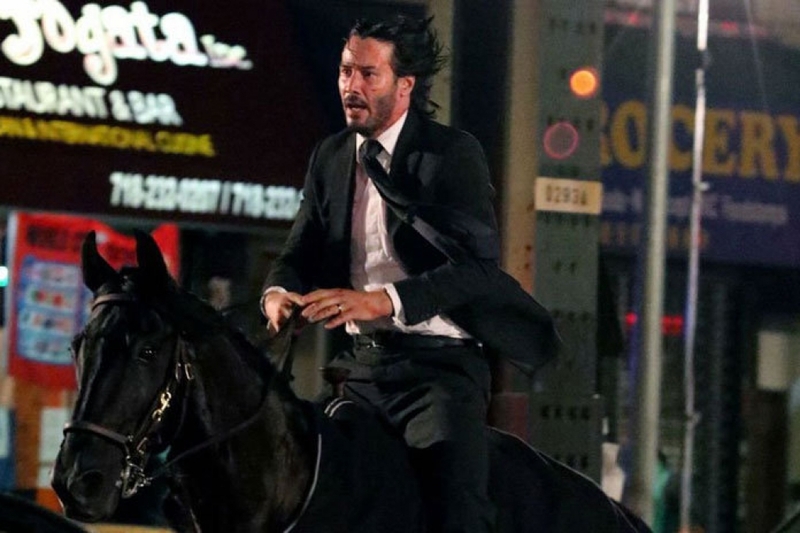 The action in the previous two films was as stylish as it was slickly choreographed, and promotional images have seen Reeves riding a horse! What more could you want? Expect the bullets to fly and the bodies to hit the floor cos John Wick is back for one last bloody hurrah. “So long, partner,” as Woody uttered those words at the end of Toy Story 3, it undoubtedly caused many tears to be shed by audiences as Woody and co said a fond farewell to their owner Andy for the last time, seemingly closing the book on the Toy Story franchise. It is still one of the best trilogies ever, and so talks of a fourth film were naturally met with some trepidation. However, as Pixar has so often not disappointed, most recently delivering one of their best with Coco, and giving The Incredibles a worthy sequel. One would assume that they know what they’re doing. A fun mini teaser released late in 2018 confirmed that all of the familiar faces will be back, but what exactly they’re up to remains a complete mystery. But if reports are to be believed, the cast were crying and struggled to record their lines for the ending, which if you have ever seen a Pixar film ever, you’ll know that they have the power to reduce anyone to an absolute emotional wreck. So get the tissues ready cos this is likely to be another tearjerker. 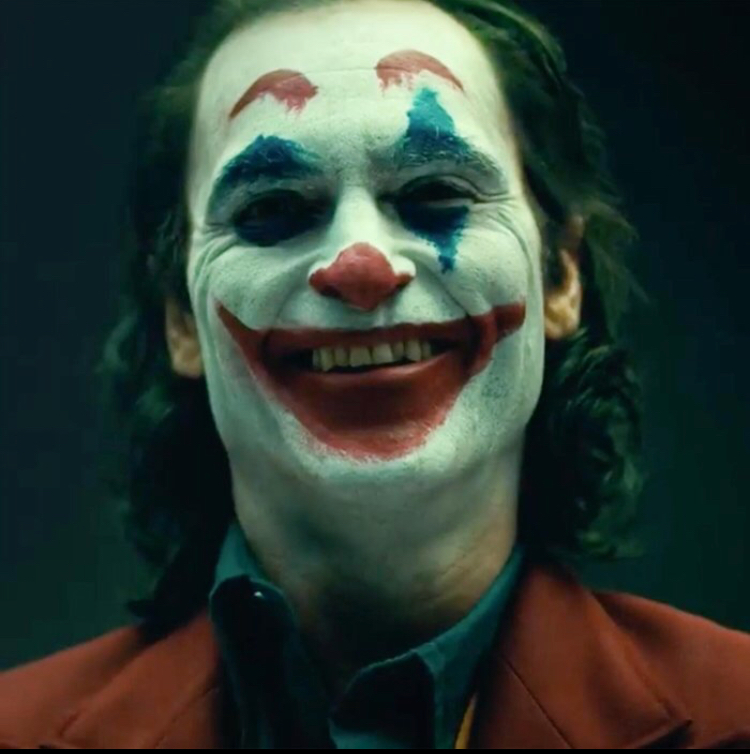 The Joker is one of the most iconic comic book villains, and he has had some memorable portrayals on the big screen from actors like Jack Nicholson and the great performance from Heath Ledger who stole the entire show in The Dark Knight, not forgetting the great work that Mark Hamill has done from an animated perspective to bring the Crown Prince of Crime to the big screen. However, the future of the character in the DCEU is a little bit uncertain since his debut didn’t quite go to plan. Hence, Warner Bros has given the green light for a solo Joker film separate from the DCEU. The MonsterVerse has not exactly got off to the greatest start, beginning with 2014’s Godzilla and continuing with 2017’s Kong: Skull Island. Both the aforementioned films suffered in similar respects, some decent action but were bogged down by concentrating too much on the humans and not enough screen time for the titular titans, though the former was much stronger than the latter when it came to the action. A gargantuan clash between these two is expected to stomp into cinemas next year, but before that, Godzilla has got other monsters to deal with. This new film looks as though it will remedy that problem with a handful of new Titans battling it out for Titan Supremacy, namely Mothra, Rodan, and Godzilla’s arch nemesis, the deadly three headed King Ghidorah. A bunch of new humans have joined the cast including Stranger Things star Millie Bobbie Brown, Charles Dance, Vera Farmiga and Kyle Chandler. Yet, one would hope that this is the film that sees the monsters take centre stage good and proper, and as the trailer teased, we have some exciting battles coming our way. Outside of Disney and Pixar, Dreamworks Animation Studios have arguably been the studio to compete with when it comes to top tier animation, and and nothing is greater proof of that than the How to Train Your Dragon series. Thus far, this franchise has produced two absolutely stellar pieces of work, and they have a chance to complete their trilogy that, if all goes to plan, would be up there with the likes of the Toy Story trilogy as one of the finest animated trilogies out there. 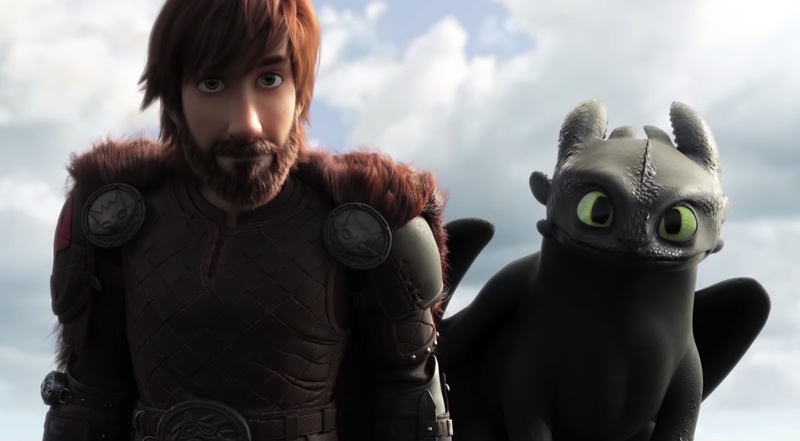 This new adventure certainly seems to have upped the ante for our characters with Hiccup now the leader of the clan (mighty fine beard and all) facing down a terrifying new threat that puts humans and dragons at risk. Toothless’s attention meanwhile is on a Light Fury dragon he is trying to woo. The trailer promises those epic stakes that the second instalment brought, as well as those really hard hitting emotional moments. Quentin Tarantino, like Martin Scorsese, is one of those names who just immediately catches the attention of most cinema goers, and for good reason, he makes damn good films. If the man’s name alone wasn’t enough to get people to the cinema, then the cast of his ninth feature film surely will. 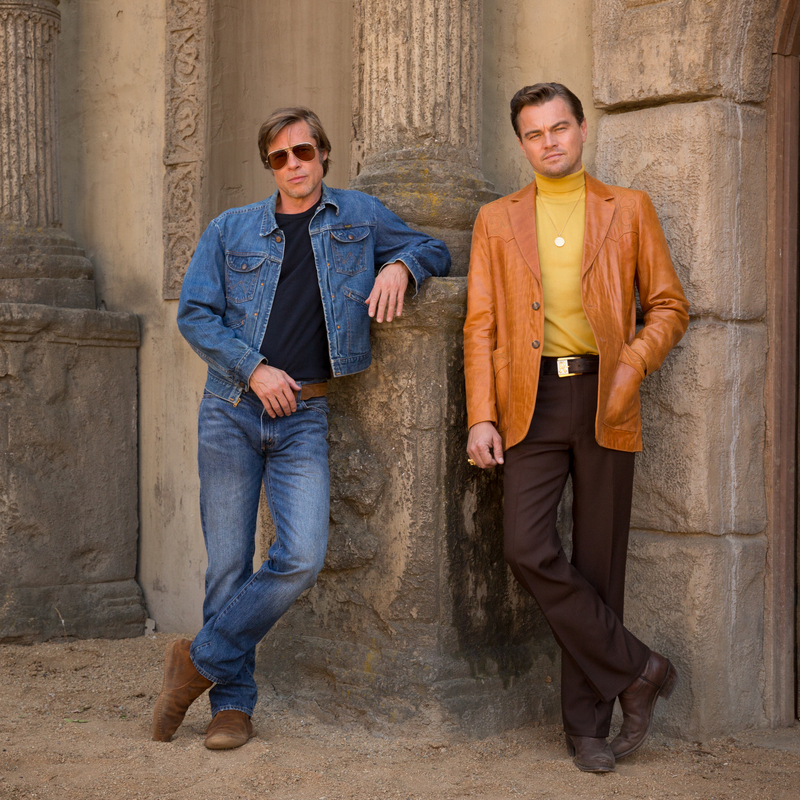 The likes of Margot Robbie, Brad Pitt, Leo DiCaprio all snag leading roles, but the cast list is quite extensive, with Tarantino alumni such as Tim Roth, Michael Madsen, Bruce Dern and Kurt Russell all involved. It’s a cast to die for, and given what we know about the plot, and who some of the cast are playing, it’s gonna get a little bit unpleasant. Not much else is known about the plot, other than it being centred on the Manson Family Murders, but if there’s one thing to expect from a Tarantino flick, it’s some sharply written dialogue, and juuuuuuuuuust a little bit of violence thrown in there for good measure. With his terrific body of work that he has assembled prior to this, this is looking like it will be another piece of glorious, as well as bloody, piece of work from the director in what might just be his penultimate directorial effort. The Marvel Cinematic Universe will finally give the world the first MCU female led superhero film in 2019. That superhero in question is Carol Danvers, an air force pilot who becomes the seemingly incredibly powerful Captain Marvel. Though before she can help save the world in the sequel to Infinity War (more on that later), we must venture back in time to the 1990s to see how Captain Marvel came to be. The presence of Oscar winner Brie Larson in the titular role alone is enough to draw excitement, but she is the lead of an extremely exciting cast that includes Jude Law, Ben Mendelsohn, Gemma Chan and a de-aged Samuel L Jackson as a Nick Fury (also sans eye patch) as well as a de-aged Clark Gregg as Phil Coulson, with Lee Pace returning as Ronan, AKA the villain from Guardians of the Galaxy. Also who knew Nick Fury was a cat person? Maybe it’s that cat that takes his eye out after all…. 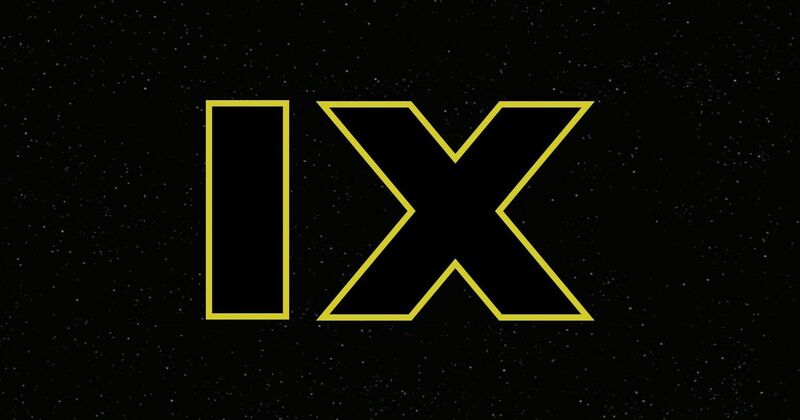 The concluding chapter to the new trilogy of films ever since Disney seized control of the franchise from George Lucas. Unless you have been living under a rock, you will know that the preceding chapter, The Last Jedi, caused quite the divide among the population of the world. Some absolutely adored it, hailing it as the best film in the franchise ever, and some absolutely detested it with every fibre of their being. No pressure then JJ Abrams. As one would expect, the plot details surrounding this new film are a complete mystery, but what is for sure, is the events of The Last Jedi, whether you liked the film or not, are going to have substantial repercussions for the world of Star Wars going forward. The intrigue to see how they close the book on the stories of Rey, Finn, Poe and Kylo Ren will be enormous. Furthermore, it will be extremely interesting to see how the tragic passing of Carrie Fisher will have an impact on the story given she was set to play a big role in this closing chapter. Furthermore, in the wake of the box office disappointment of Solo: A Star Wars Story, Disney really could do with a home run to round out this trilogy. Lightsabres crossed that JJ can steer this ship home to safety. Had to be didn’t it? 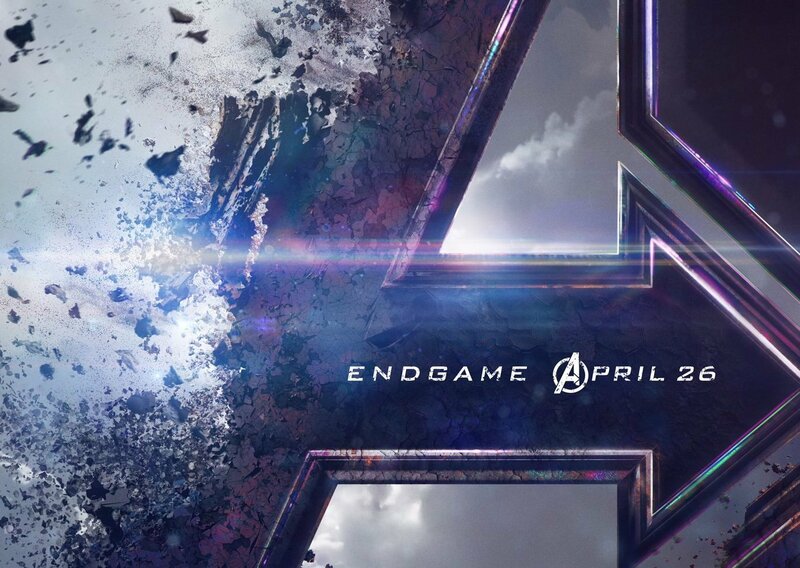 In the same vein that Episode IX will bring the curtain down on the new Star Wars trilogy, Endgame is going to be the culmination of everything that the Marvel Cinematic Universe has been building towards across a remarkable 22 films. With their Cinematic Universe, Marvel really has made cinematic history with what they have achieved, it really is like nothing we have ever really seen before, and after delivering the stunning and heart-breaking Infinity War, the Russo brothers have the mammoth task of giving closure to these characters that for some we have spent a decade following. Of course, that earth-shattering ending of Infinity War turned half of our heroes into dust after the Mad Titan Thanos collected all six of the Infinity Stones to bring balance to the Universe. Yet, even with that gut punch of an ending, it seems pretty certain that those who disintegrated away at the end will come back somehow. The real question is how? The Russos have hinted that this film could be in the realm of three hours long, and I am more than okay with that. Yet if it indeed does come to pass that all those who were disintegrated return, who will definitely bite the dust this time around? It seems somewhat unlikely that everyone will return and that will be that and it will be sunshine and rainbows. One particular Titan in particular would be a bit pissed that all of his work would be undone. Some actors (not naming names) have hinted that this is their last hurrah so expect some fireworks as this chapter of the MCU will be brought to what will hopefully be an epic and emotional close. Thus concludes my picks for the most anticipated films of 2019, What are your most anticipated films for this year? Let me know in the comments below or you can find me on: Twitter, Facebook or Letterbox’d. Thanks for reading and here’s to another great year of cinema!